Vladimir Jakovenko was born on July 15, 1940, in the coal mining area of Donbass in the Donets Basin of Eastern Ukraine (at that time part of the Soviet Union). He immigrated to the United States from a Displaced Person's Camp in Hanover, West Germany, in November 1950, and then completed grammar school before enlisting in the U.S. Army on January 16, 1958, serving until leaving active duty and going into the Army Reserve on December 22, 1959. Jakovenko became a U.S. Citizen in November 1961, and went back on active duty in the Army on October 31, 1962. He served with the 82nd Airborne Division at Fort Bragg, North Carolina, until December 1965. During this time, Sgt Jakovenko completed Ranger School in 1964, and deployed to the Dominican Republic from May to November 1965. He served with the 173rd Airborne Brigade in South Vietnam from December 1965 to December 1966, and then served with the 82nd Airborne Division at Fort Bragg from December 1966 to December 1967. After completing Special Forces School in June 1968, Sgt Jakovenko served with the 6th Special Forces Group at Fort Bragg from June to November 1968. 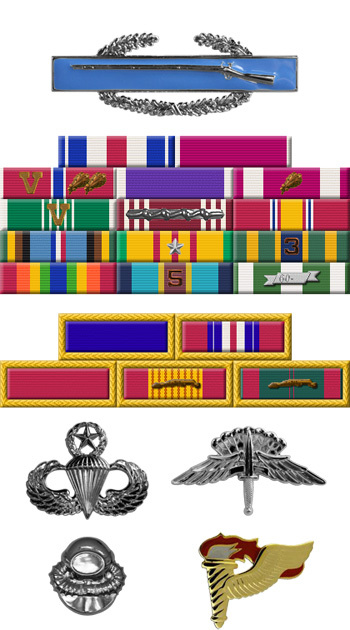 He then served with II Corps in South Vietnam from November 1968 to November 1969, followed by service with the 6th Special Forces Group from November 1969 to March 1971. During this time, Sgt Jakovenko participated in the Son Tay Raid on November 21, 1970, a clandestine mission to free American Prisoners of War held in North Vietnam. He next served with the 5th Special Forces Group at Fort Bragg from March 1971 to 1980, followed by service with the Army ROTC program at the University of Guam from 1980 to May 1982. SGM Jakovenko served as Sergeant Major of C Company, 1st Battalion, 5th Special Forces Group at Fort Bragg from May 1982 to 1985, and then served with Special Projects Support Activity in support of Special Mission Units at Fort Bragg until 1987. His final assignment was as Sergeant Major for the U.S. Army Western Command Special Operations Detachment at Fort Shafter, Hawaii, from 1987 until his retirement from the Army on January 1, 1990. 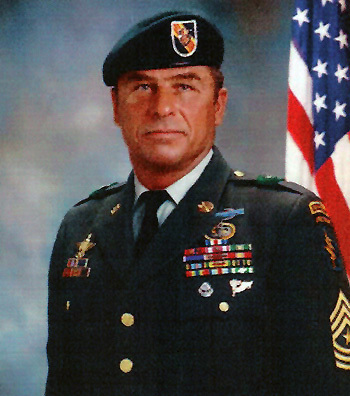 SGM Jakovenko was inducted into the Ranger Hall of Fame at Fort Benning, Georgia, on August 6, 2003. Sergeant First Class John Jakovenko, United States Army, distinguished himself by gallantry in action on 21 November 1970 as a member of an all-volunteer joint U.S. Army and Air Force raiding force in the Joint Chiefs of Staff directed heliborne assault mission to rescue United States military personnel held as prisoners of war at SON TAY Prison in North Vietnam. With contempt for danger, Sergeant Jakovenko exposed himself to enemy fire to place effective machine gun fire on the enemy and neutralize their automatic weapons positions. Sergeant Jakovenko performed in a heroic manner while under hostile fire. He provided covering fire to ensure the safe withdrawal of other unit throughout the raid. Sergeant Jakovenko fought valiantly and fearlessly until the mission was completed. Sergeant Jakovenko's conscious disregard for his personal safety, extraordinary heroism against an armed hostile force, and extreme devotion to duty are in keeping with the highest traditions of the military service and reflect great credit on him and the United States Army.